Finally, your search for realistic and easy to install tree border ideas is over! Creating stone border around tree trunks has never been so simple. 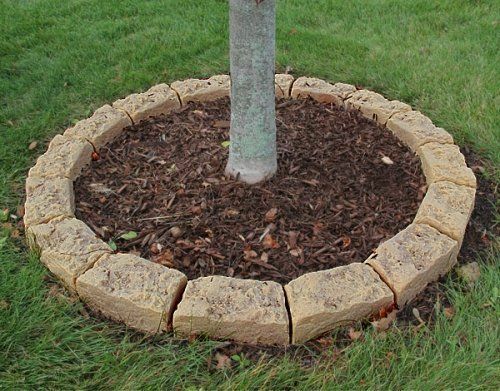 A patented resin molding technique is used to make these artificial rock tree edging rings. The results are incredible! Beautiful texturing and color combinations combine to create a truly astonishing and realistic faux rock surface. And its all molded into the blocks. The colorant, the gritty texturing, and the U.V. inhibitors. So you never have to worry about chipping, flaking, or sun fade. Achieve the natural appearance of real stone tree rings without all the lifting and broken finger nails. 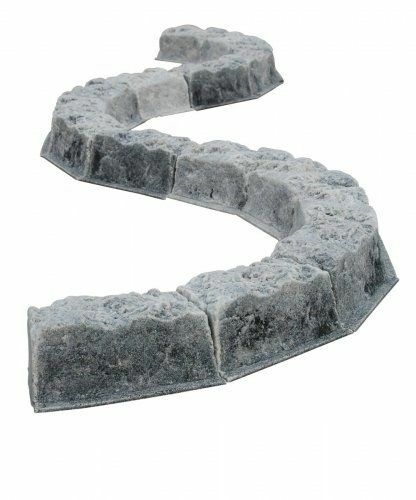 Most brands of plastic stone edging is shiny, ugly and obviously fake, even from afar. Hit it with a string trimmer and it will crack or chip. Step on it and it will crush. And after a season or two outside many brands quickly become sun faded and totally unattractive. Why bother? These premium quality edgers not only look real, but they are thick and extremely durable. 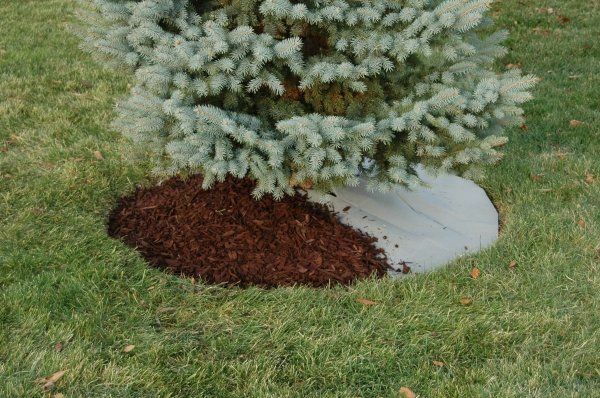 These tree borders add character and curb appeal. 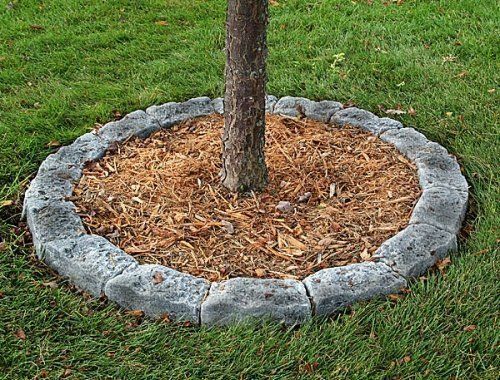 Plus, if you are going to place mulch around tree trunks these tree border kits will keep it neat and well contained. Heavy edging blocks, leave them at the Home And Garden stores! Now you can show your neighbors how to make a tree ring the fast and easy way in half the time and half the work. We even include a pre-cut weed barrier and stakes for the edging blocks. The weed barrier is a thick, pre-cut circle easily set into place around the base of the tree. Simply pin the border stones along the edge of the weed barrier with the included anchoring stakes, add mulch and walk away smiling! 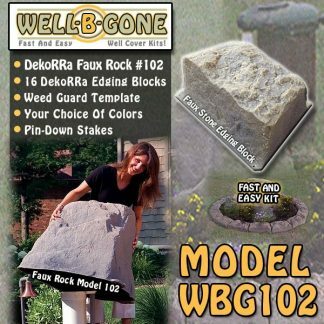 Kit includes 1 Pre-Cut Tree Mulch Ring Weed Barrier Template and 1 Box of 16 DekoRRa Faux Stone Edging Blocks (please select color using menu above). 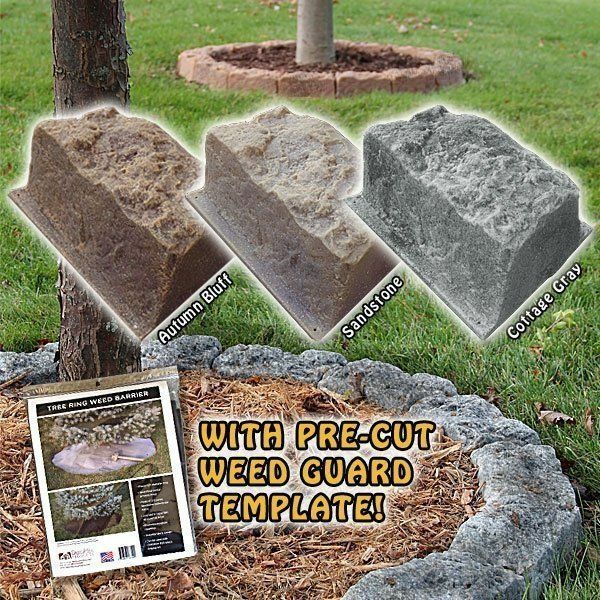 Kit Includes 16 edging blocks, 1 pre-cut weed barrier. this kit will create a 52" diameter tree ring. 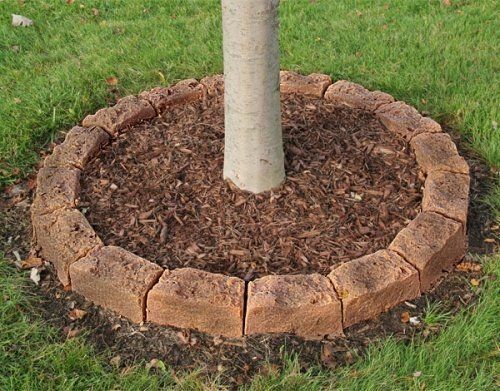 These edging blocks look fantastic as a tree ring! I would give them 5 stars but they are kinda pricey and when I bought them their weren’t price breaks for multiple boxes like there are now. Wish I would have waited but Oh well..it was money well spent.